Success is not just about getting what you want. It is about facing Life too. 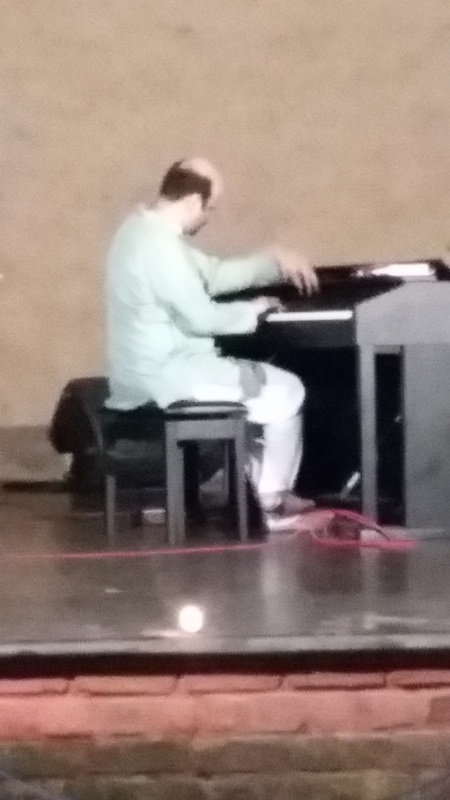 Last evening we attended a midnight concert by the acclaimed pianist Anil Srinivasan. It was the most beautiful and soulful way to bring in Independence Day. Anil rendered many great compositions in his effortless, flawless, inimitable style. Two of my favorites, apart from our national anthem, were Rabindranath Tagore’s “Ekla Chalo Re” and “Hum Honge Kamyaab”(Girija Kumar Mathur’s Hindi translation of the hymn of the African-American civil liberties movement, “We Shall Overcome”). Around the time that Vaani and I were courting each other, in the late 1980s, I had this burning desire to be rich (so that we could have a good Life) and successful (so that I would have a name and fame). “Hum Honge Kamyaab” was our courtship-theme song – we were faced with so many challenges on the road to getting married, from no money to start our Life together to having to get our parents’ approval. So, Mathur’s translated lyrics made a lot of sense – it inspired us to believe that we would indeed overcome our challenges and some day we would become successful, kamyaab, as the song suggested! When Anil played the song on his piano last night, my eyes welled up. I reflected back on those heady times of our courtship and how we had surmounted every odd to get married and raise a family. I also recalled how, in particular, how I chased success. And today, when I look at the ruins of what was once a dream, I feel that my entire approach to success, in fact, its very definition has changed dramatically. Success to me today means simply this: the ability to live with the reality that is. Which means, to me, acceptance is success, being happy is success and being content is success. As this thought ran through my mind and as I let Anil’s rendition of “Hum Honge Kamyaab” caress my soul, I smiled to myself. Is this how one evolves in Life? To chase material success, find it, and through a Life-changing, cathartic experience, where every ‘thing’ is taken away from you, discover that all that one thought was success is no longer relevant. Success, I realized yet again last night, was simply about living each moment – the way it arrived and presented itself – well. Nothing else can qualify as success. Nothing else is success. Surely, “Hum Honge Kamyaab” can still be anyone’s theme song – just as it continues to be mine. When you understand what being kamyaab, successful, really means, you will realize that it is totally unimportant how much wealth or fame you have in Life. What matters eventually is how much of your ‘given, gifted’ Life you have faced – and lived fully!